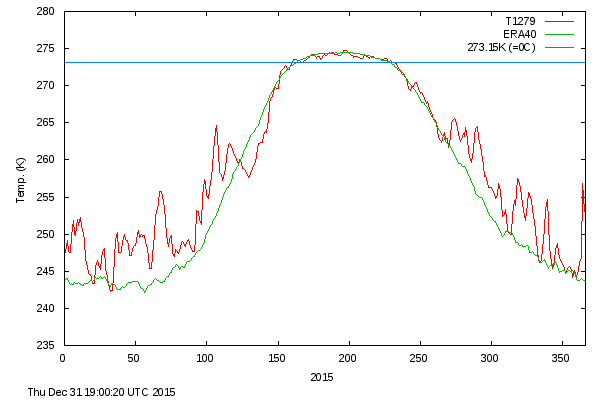 Cold air has settled over the Arctic and Greenland, which is going to greatly inhibit any further melt this summer. Climate criminals will claim the exact opposite, because they are paid to lie ahead of the Paris Summit. It’s gone from record low melt to close to record high melt to record low melt in a very short time. How much ice can you melt in such a short space of time? What happened is that it snowed, thus replacing a lot of what had already melted, even though we are right in the middle of the melt season. Becaaaauuusssse….maybe the NH cooled in the 70s and early 90s (Pinatubo). At this point, everything is propaganda. This is proof positive that the truth will win out over the paid “progressive” propagandists. The Rebel now outranks Macleans.ca — after less than six months (and no government subsidies). I looked at Tom Nelson’s site couldn’t see the anti-semite, troofer, moonlanding denier anywhere.. I assume he is also a rabid warmista? I am indeed an old Apollo fan! I was lucky enough to watch a couple of launches in person, and because my brother now works at NASA, I still get alot of cool space related experiences and literature. If the little red line drops below freezing soon, it will be the SHORTEST period above freezing in the whole DMI data. And that blue line in Billy’s post indicates that it might. This is scary ;-).. The people up there desperately need this sea ice to melt. Darn it, the graph isn’t up to date.. ?? I’m in Australia. ! I particularly like this quote. “We can now tell politicians that they can call off the warnings. There’s no chance of a global warming of more than 2°C . They are indeed watermelons: “Green on the outside, but red on the inside.”. They are also traitors who take public funds from crooked politicians to deceive the public. We seem to be closer to a lot of other years rather than 2006. Could be. We’d have to get more graphs to see which tend to agree with each other. Of course it is a bit tricky as some do 15% and some 30% and of course different algorithms etc. Doesn’t matter either way. Pure a matter of interest, not panic. 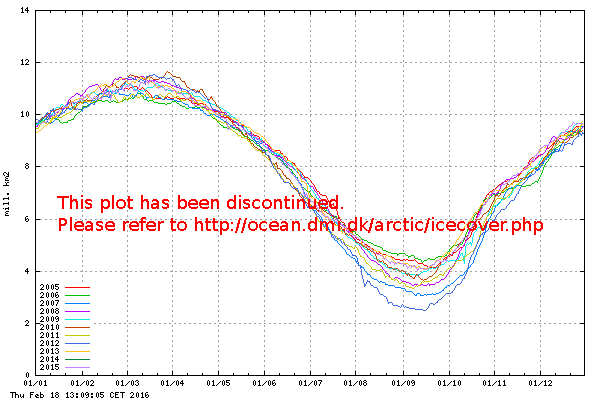 High Arctic sea ice levels are basically a major nuisance to people and animals up there. 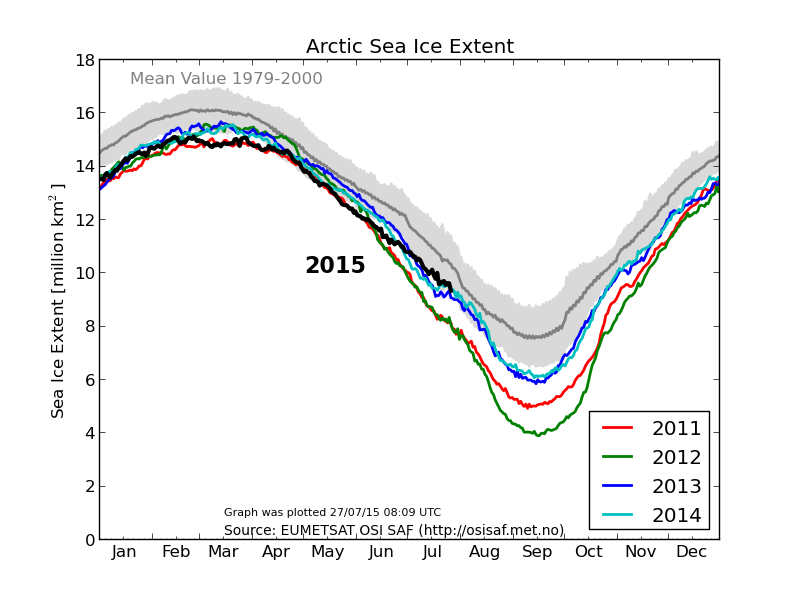 Low Arctic sea ice has been proven by history not to be a problem. All in all, it would probably be better for people who live up there, and therefore to whom it matters, if there was LESS Arctic sea ice. Good to see you all holding down the fort. I just got back with 40,000 lbs of Sliders. That’s 40,000 lbs of frozen White Castle hamburger patties imported from New Zealand. Picked them up at a warehouse right off the docks under the Walt Whitman bridge in Philadelphia, PA at 13:00 EDLST yesterday. Looks like they’ll be calling me to leave again later today so it’s off to bed. Oh, BTW. A lot of the hamburger for McDonalds and Burger King also comes from the Kiwis and Aussies. .
It’s going to continue melting through August and into September as per normal. Now you have set me thinking, new ice is salty, but this is probably because the sea ice is a mixture or brine and ice, the frozen ice however would be still less saline so would still melt nearer to 0C as you say. Hence why fresh water melt ponds. So I agree with you, nearer to 0 than -2C for melt. Thanks Mr Liar.